The world’s population has never been younger and nowhere is this trend more pronounced than in emerging markets, home to more than 1.8 billion 15 to 24-year-olds. This is the demographic dividend; the prospect of unleashing youth capital to fuel spectacular growth. 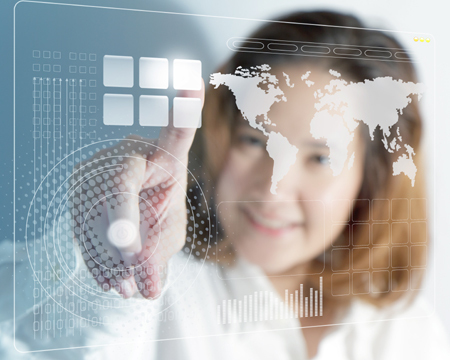 Emerging markets account for more than 50 per cent of the global economy. While growth has stagnated in many developed economies, the speed of change in the BRICs is unprecedented. China apart, they have youthful populations; their energy and potential is apparently limitless. “Never again is there likely to be such potential for economic and social progress,” according to the United Nations Population Fund. Yet, in too many of these societies, there is a generational divide. Political leaders, far from exploiting the “youth bulge”, seem frightened by it. They see problems, rather than opportunities. In India, which ahs a youth population of 356 million, it is ‘surplus’ young men; in China, university-educated manual labourers; in Russia, young alcoholics. Too many young people are trapped in cycles of inequality; social and economic mobility remains elusive; education is sub-standard; youth unemployment and underemployment is alarmingly high and rising; alienation is breeding violence and despair. Economic progress cannot be sustained if robust health, education and welfare systems are not put in place. The prosperity of a society does not exist in a vacuum; it must be underpinned by social, legal and environmental policies that promote it. Every aspect is intimately linked. Over the past decade, plenty of conferences and summits have been held to consider the economic and financial implications of the remarkable growth of emerging markets, but generally from the perspective of investors. That focus is too narrow. We cannot ignore the wider issues because a society’s prosperity depends on social cohesion just as much as the promotion of entrepreneurialism. That’s why C and C Alpha Group, which does business all over the world, set up the Emerging Markets Symposium eight years ago in partnership with Green Templeton College at Oxford University. Experts from across the globe come together under the chairmanship of Shaukat Aziz, former Prime Minister of Pakistan, to focus specifically on the social and welfare issues with which these countries are grappling. In previous years, the symposium has published reports on subjects such as child health, urbanization and security, but this year our focus is on young people in emerging markets – perhaps the most important subject of them all. Appropriately, of the 45 experts from 20 emerging markets and high-income countries, who were joined by 14 graduate students, one in three were under 30. The aim is to provide realistic answers to complex issues, identifying unexploited opportunities, and to do that credibly, we need to ensure the voice of this generation is heard. Jo Boyden, Professor of International Development at Oxford University, told the symposium that an estimated 200 million young people are failing to achieve their development potential. Young people comprise around 50 per cent of the world’s poor, yet most live in middle-income countries, not the world’s poorest societies. Professor Boyden heads an innovative research programme, Young Lives, which has been studying the progress of 12,000 children in India, Ethiopia, Peru and Vietnam over the last 15 years. Her team of researchers report dramatic improvements in infrastructure projects during this period, but the divide between rural and urban societies remains the key determinant of educational attainment and life outcomes. The scale of the social and geo-political challenges faced by emerging economies is immense. The challenge of sustaining economic growth goes hand in hand with tackling human welfare issues. Young people are disproportionately affected by societal challenges. Youth unemployment is often double the national average in emerging economies – yet these young people who cannot find jobs are often more highly skilled than the generation who are in work. This is happening at a time when traditional social institutions are losing their authority: a perfect storm. The purpose of the Emerging Markets Symposium, which we have committed to fund for at least another three years, is to persuade policy-makers there are practical, affordable answers to these difficult questions. Failing to answer them is not an option. Excluding young people from political systems and failing to prioritise investment in their health, education, well-being and productive capacity undermines the sustainability of these emerging economies. No one under-estimates the difficulty of achieving change; but the starting point surely needs to be a more positive dialogue between the generations. 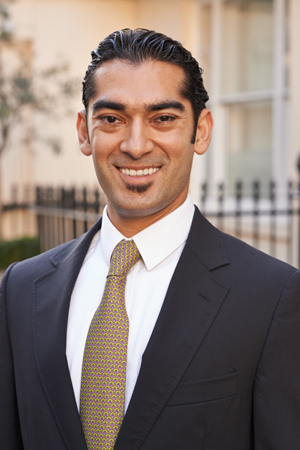 Bhanu Choudhrie is founder of C&C Alpha Group, an international private equity business headquartered in London.